Two boats fish together using a net during a daily fishing excursion from Kayar. 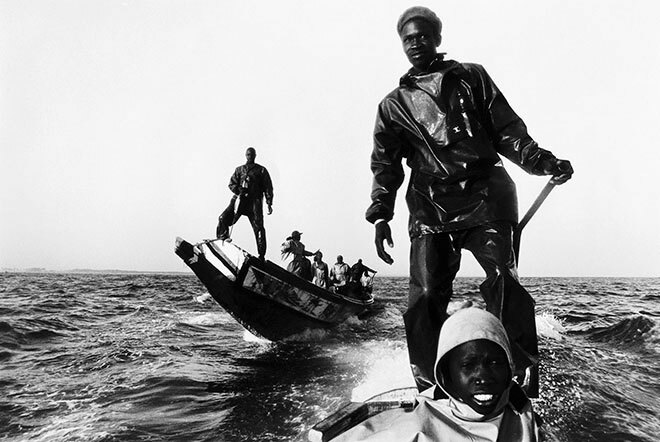 Kayar is one of the many fishing hubs that pepper the coastline of seafaring Senegal. 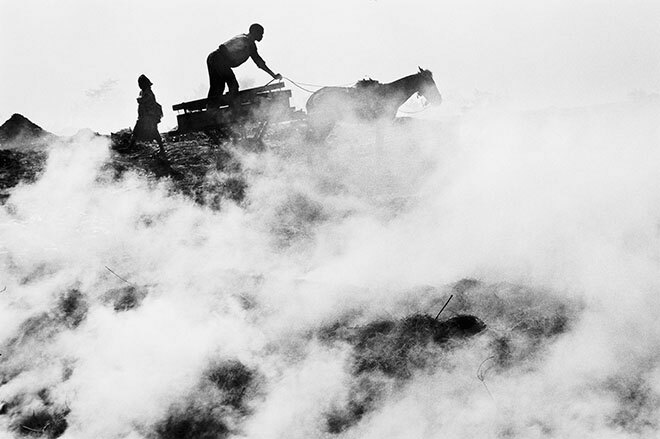 I visited the town in 1994 to spend a week documenting the traditional fishing practices of its fishermen, on behalf of Greenpeace magazine. At the time, there was great concern that growing numbers of fishing trawlers in the area were jeopardising fish stocks and with them, the livelihoods of local fishermen. 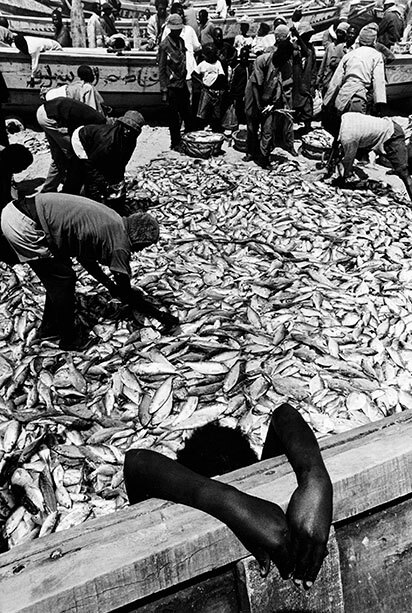 While Senegal’s traditional fishing practices limit catch volumes to protect fish stocks, the indiscriminate capture of large fish volumes by European and Asian trawlers was leading to a widespread decline in overall fish numbers. 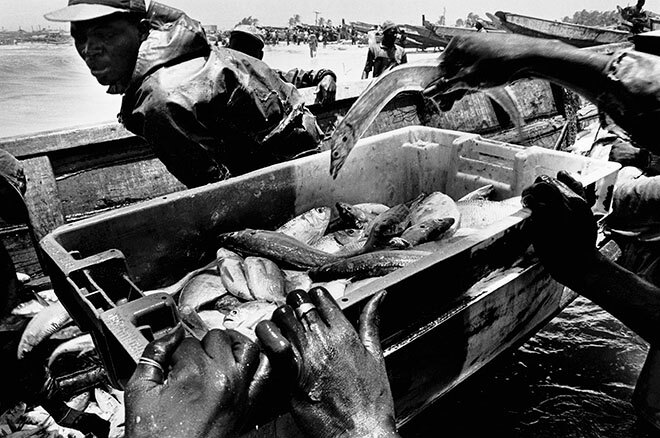 To raise awareness about this issue, I wanted to document the traditional fishing practices of this area. I went out to sea with the fishermen in their handcrafted boats and also spent time in the fish smoking fields, photographing the ways that the fish was caught, processed and then distributed within the community. 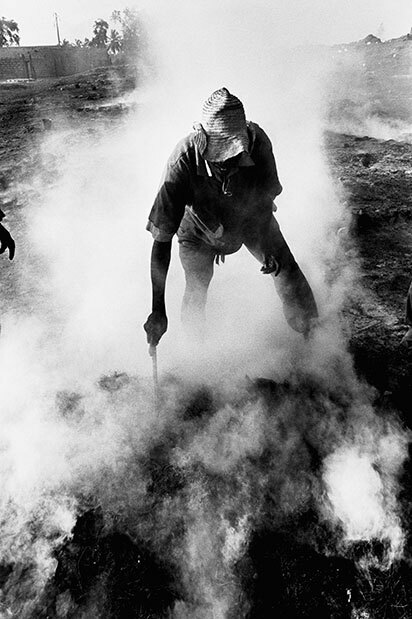 Every part of a fish that was caught by these fishermen was used: fish were eaten fresh, smoked or dried, while the heads and skin were used as chicken feed. Today, Senegal’s fish stocks are in a highly depleted state and the long-term prospects for the country’s artisanal fishermen look bleak. 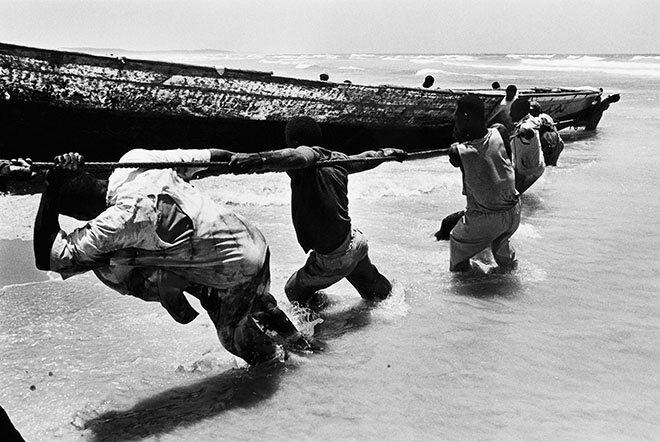 Villagers haul a boat to shore. 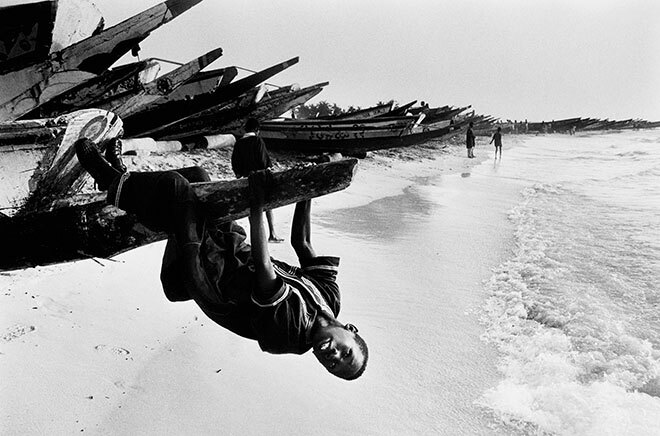 A boy hangs upside down from a beached fishing boat as the sun begins to set in Kayar. Fishermen move fish onto the beach after returning from a day at sea. 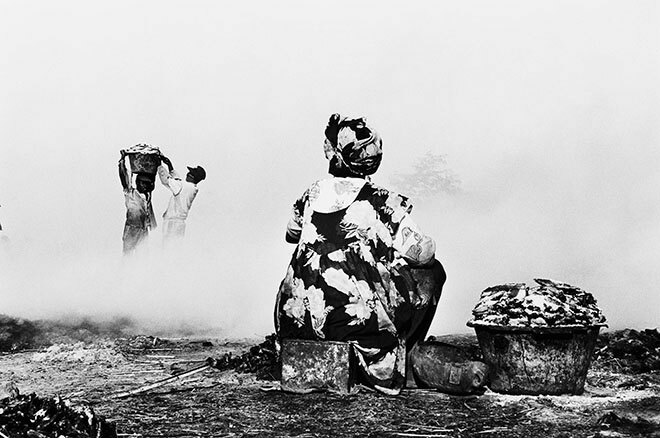 Fish are laid out then slowly smoked in a smoking area at the edge of the village. Porters move fish onto the beach in Kayar, where fishing merchants survey the catch before it is sorted. 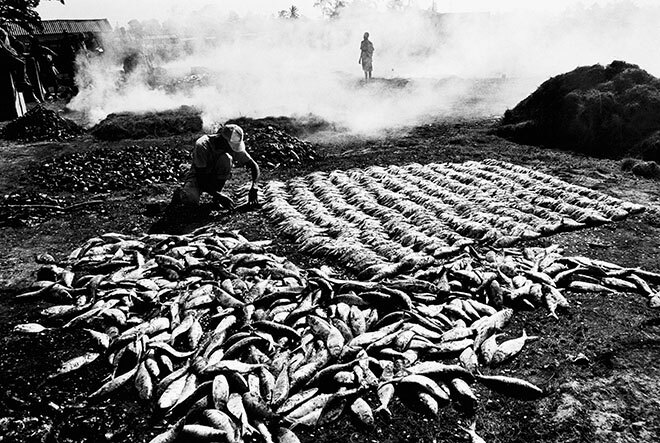 Fish are laid out in careful rows, then slowly smoked in a smoking area at the edge of the village.